Sergio Romero has signed a new contract at Manchester United, the club have confirmed. Give us Aguero and you can have Alexis! The Argentine, who made 18 appearances for United last season, primarily in the Europa League, which United won, is now tied to the club until 2021. 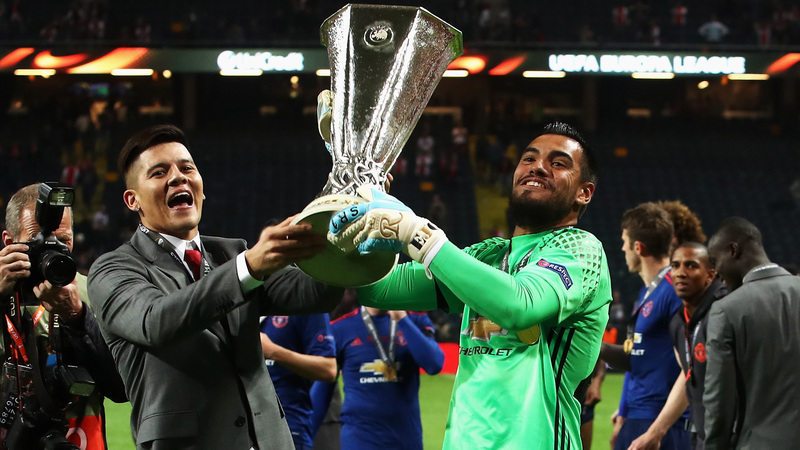 Romero made just two Premier League appearances in 2016-17, but it remains to be seen if United will retain the services of current No.1 David De Gea. The Spaniard has been repeatedly linked with a move to Real Madrid, with reports this week again suggesting that the Spanish club could launch a bid for the 26-year-old this summer. “I am delighted to have signed a new contract," he told United's official website. "Who wouldn’t want to be at the biggest club in the world? We have great goalkeepers here and we are always learning from each other. Jose Mourinho also has hailed the 30-year-old, especially lauding his performances in Europe. “Sergio is a great goalkeeper and professional," he added. Despite being second choice at club level, Romero has retained his status as Argentina's No. 1 starting all 14 of the country's World Cup qualifiers this cycle. If De Gea stays, United are still set between the sticks, with Portugal Under-21 goalkeeper Joel Pereira, who has been regularly praised by Mourinho, himself signing a new four-year deal last week.